Do you ever wish you had an awesomely sculpted, enormous vinyl figure of the Merc with a Mouth? Well, look no further than the Deadpool Super Deluxe Vinyl Figure! Standing a whopping 10-inches tall, this vinyl figure is something no Deadpool fan should be without! 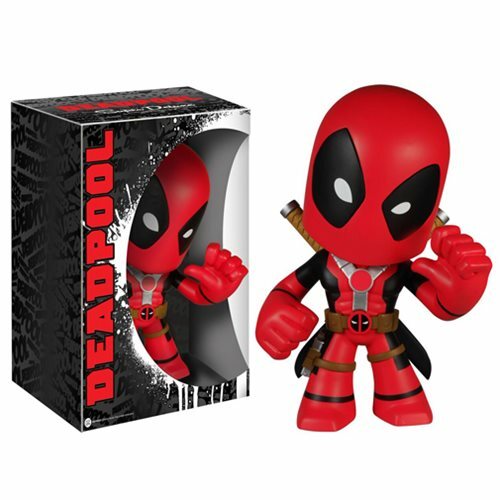 Deadpool is definitely the man as he stands with his left thumbs pointed to himself as he comes packaged in a sleek displayable window box. Ages 17 and up. New Funko Deadpool Collectibles Are Coming Your Way!